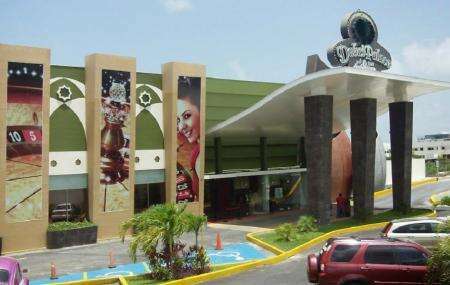 Opened in 2010, the Dubai Palace Casino is located again on Ave Tulum heading out of town towards the airport and has become one of the attractions of Cancun. Occupying 100,000 square feet, the Dubai Palace is Cancun's largest casino and is home to over 450 slot machines featuring familiar brands such as Williams, Nova Star and Bally. Its VIP room is equipped with various computerized games such as Blackjack, Roulette and Texas Holdem. Also, visit the popular attractions in the city by following Cancun itinerary 5 days. How popular is Dubai Palace Casino? People normally also visit Grand Oasis Sens while planning their trip to Dubai Palace Casino. Aside from our having had a fun time at the Dubai Palace; we selected the sumptuous buffet to top off our evening. The food was delicious and it was offered at a good value. The service was excellent and left nothing to be desired. We will pay another visit before we leave beautiful Cancún. Do you like gambling and have fun beside get something to eat? Just come in and you will be amazed how much fun you can have in this place!!! And if you get lucky you will win some money playing the machines!!!! We went for the breakfast buffet, and the cook to order omelets were delicious!! Very small buffet, but ask them about what they cook to order! Yuuummm! Without buying a Membership Card you are not allowed to play. Unusual rip off!